Was my Email Delivered and Opened? A question that I hear frequently from my clients, and in the Salesforce Answers Community, is (1) “how do I know if my email got through” and (2) “did my client open my email?” There are a few places to look on the Lead and Contact record to find this information as well as two pre-canned reports. First, let’s look at the question about email deliverability – “how do I know if my email got through?” If you navigate to the Contacts tab (or Leads tab), and you scroll down to the very bottom of the page you’ll see a Reports section. Here you’ll find a “Bounce” report, which when you run it, will tell you if Salesforce experienced any deliverability issues. If you run the report and see no results, ensure that you’re filtering to see “All Leads” (or “All Contacts” depending on the tab). Below are some sample deliverability reasons that you might encounter. For a complete list of bounce reasons, see the bottom of this post. Another good idea is to check to see if Salesforce is setup to track these errors by going to Setup > Administration Setup > Email Administration > and then configure the “Bounce Administration” section displayed to the right of the page. Once activated, and you’re email does bounce, you’ll see a message by the email field on the record. Our second question was “did my client open my email?” To answer this the User must send an HTML email from Salesforce (or an email that leverages an HTML letterhead). Why is this so important? Let’s take a second and talk about the mechanics on how Salesforce knows if the email was opened. Using the example of an email that leverages an HTML letterhead, typically the graphic (e.g. your company logo) is stored in the Document folder in Salesforce.com. When the recipient opens the email, their email mail client (e.g. Outlook) makes a call back to a Salesforce server to deliver the graphic so that it will render inside the email to the recipient. That request for the graphic back to the Salesforce server for the image is how Salesforce knows if the email was opened and how many times. Keep in mind if your HTML email gets forwarded, and those recipients open the email, the "Open" count will continue to climb. Genius! The easiest way to spot check that an email was opened from a Lead or Contact record is to slide down the page to the HTML Email Status related list. If you don’t see that section on your Lead or Contact record, make sure you’ve added it to the page layout. It will show you the date the email was opened, how many times the email was viewed and the last time it was viewed. The other method is to run the native HTML Email Status report. Under the Reports tab it’s found under the Activities folder. Some things to know about the native HTML Status Report – it’s quirky! The results you see in the repot are for the User running the reports. If you want to see the results for another User, and you are an Administrator, you can (1) have the User grant you access to their account and run the report as that User, or, (2) you can schedule the report and have it sent to you but be sure to change the “Running User” field to the other User. 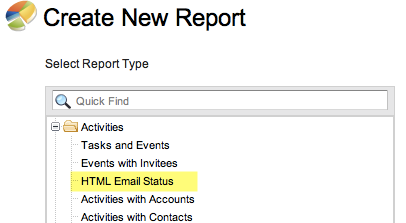 What if you don’t see an HTML Status report? Check to see if you have it enabled for your org: Setup > App Setup >Customize > Activities > Activity Settings > Email Tracking (checkbox). Though you can search the report folder and find the “HTML Email Status” report, it’s been my experience that you cannot go to the Report tab and search and find the “Bounce” report (weird isn’t it?). 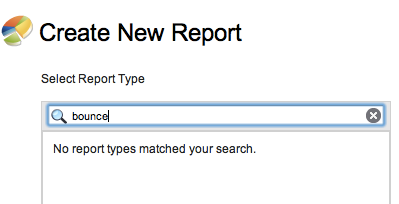 However you can make your own “Bounce” report from scratch. First Start by creating a normal Accounts and Contact report. Then once you’re in the report wizard you can search for “bounce” (as in the screenshot below) to find the fields you need. 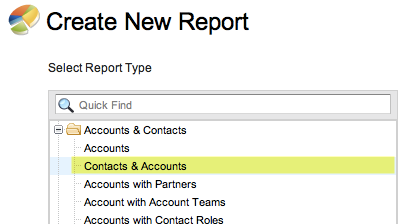 Then you can drag the fields to your report – not too bad! 517 Problem with senders mail attribute, check properties sheet in ADUC. 540 DNS Problem. 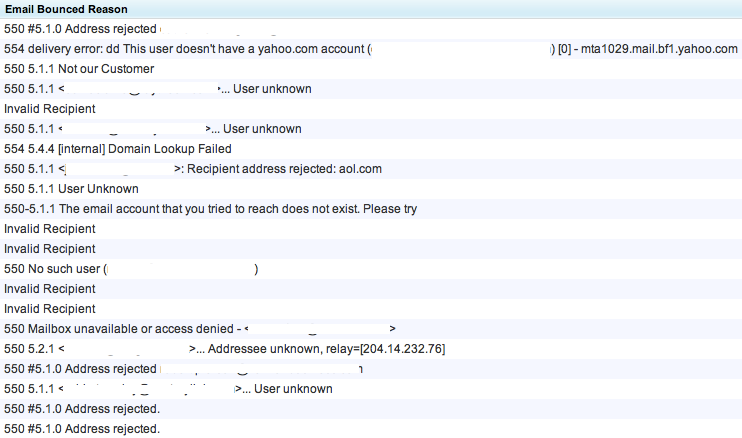 There is no DNS server that can resolve this email address.